There was a medical college in Indore known as the Mahatma Gandhi Memorial Medical College, it was under the control of a private enterprise but later on it was taken over by the Government of State of Madhya Bharat. When the Medical College was taken over by the State Government, it brought a rule under which all students who were having domicile of the State of Madhya Bharat i.e. were “Bonafide Residents of Madhya Bharat”, were exempted from “capitation fees” and all other students who were not having domicile of Madhya Bharat were charged capitation fees which was Rs. 1300 for nominees and Rs. 1500 for others. For the purpose of rule a person was termed as a “Bonafide Resident” if (a) a citizen of India whose original domicile is in Madhya Bharat, provided he has not acquired a domicile elsewhere, or (b) a citizen of India, whose original domicile is not in Madhya Bharat but who has acquired a domicile in Madhya Bharat and has resided there for not less than 5 years at the date, on which he applies for admission, or (c)a person who migrated from Pakistan before September 30, 1948 intends to reside in Madhya Bharat permanently, or (d) a person or class of persons or citizens of an area or territory adjacent to Madhya-Bharat or to India in respect of whom or which a Declaration of Eligibility has been made by the Madhya Bharat Government”. The writ was filed, before the Honourable Supreme court of India under Article 32 of the Constitution of India, against the above mentioned rule of the Madhya Bharat Government claiming that the rule was violative of the right to equality enshrined under the Constitution of India. The question to be determined by the court was whether the above mentioned rule violated and infringed the Fundamental Rights guaranteed by Articles 14 and 15(1) of the Constitution of India. The court consisted of five judges in which Justice(s) Mukherjee, C.J, Bose, Ayyar and Sinha gave assenting judgement and Justice Jagannadhas gave a dissenting Judgement. It was held by the Court in majority that the above mentioned rule was not violative of the Fundamental rights enshrined under article 15(1). The court held by majority that “Place of Birth” and “Place of Residence” are two different and distinct things both in facts and law and the imposition of capitation fees was based on “Place of Residence” rather than “Place of birth” and article 15(1) deals with discrimination based on “Place of birth” and it can’t be read as “Place of residence”. The court further held that the rule was also not violative of Article 14 because the classification was just and reasonable because it was based on a ground which was a primary duty of state i.e. to encourage education within its geographical boundaries. 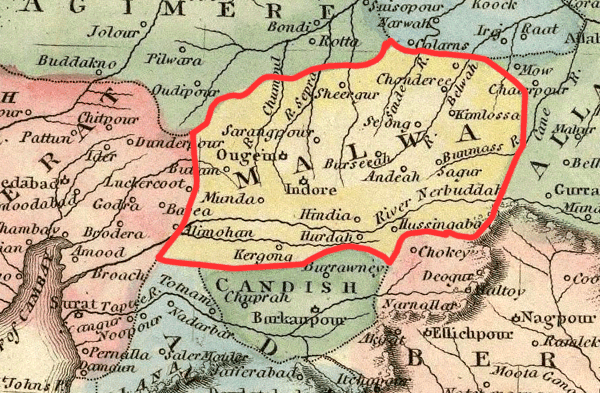 But a dissenting judgement was given by Justice Jagannadhas, who held that though “place of birth” and “place of domicile” were two different things but there is no such place for regional domicile in Indian law and under the given circumstances the phrase original domicile in Madhya Bharat is meant to convey the “Place of Birth” and thus this rule primarily offends Article 15(1) of the Constitution and such distinction can also be not termed reasonable under article 14 of the constitution. Thus by majority the writ was dismissed and it was held by majority that the rule of the Madhya Bharat government was not in contravention with the constitutional norms.